Digital Assistance Systems, supporting the employees’ work selectively, are already used in practise by many companies and have thus become reality. An increasing number of companies are using digital applications to make their processes more efficient and to reduce down-times. 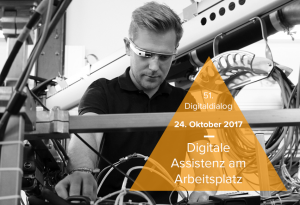 Solutions and systems which are currently used, will be presented by styrian IT experts in the course of 51st Digital Dialogue.